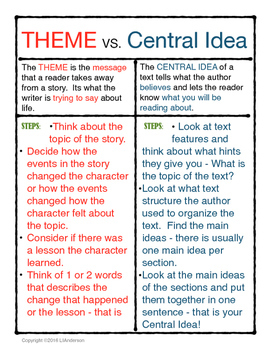 This chart will help students remember the difference between theme which is found in literature and central idea which is found in informational text. It includes a definition for each and a set of steps to find the theme and central idea. It is a great resource for students to keep or for teachers to blow up and use as a poster in the classroom.